JDA Retail Lifecycle Pricing leverages customer-centric, localized demand data to determine the optimal pricing and promotional strategies for every product/location combination you manage. 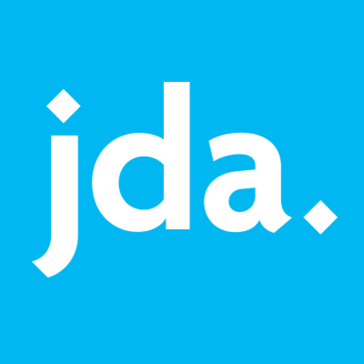 Work for JDA Retail Lifecycle Pricing? Learning about JDA Retail Lifecycle Pricing? What Other Retail solution do you use? Looklet provides retailers with an efficient in-house studio and creative styling tools to produce high quality dynamic fashion images. Trailblazer is a web based Repair shop tracking and management tool with intuitive workflow, stock management, automated messaging, and other great features that make running your repair shop a real breeze. This industry-leading solution enables you to custom-tailor your merchandise, even by size, based on the way customers are actually shopping your stores. Even your toughest merchandise planning challenges, such as new stores and promoted items — can be conquered with JDA Allocation. TXT Retail is a leading provider of end-to-end Merchandise Lifecycle Management solutions for luxury, fashion and specialty retail sectors. Turn your free WiFi into an advanced customer survey and WiFi marketing tool that is perfect for small and medium size businesses like cafes, restaurants, retail stores, and more. Retail solution that supports item level inventory tracking for petroleum convenience stores. 3DVIA provides enterprises and consumers, smart 3D space planning solutions that enable new ways to engage, consider, and make the best choice. Sellpoints is an online sales network that supports manufacturers and retailers in merchandising their products. Antique Mall Accounting System is a consignment inventory software for independent dealers or consignors and the weekly or monthly distribution of sales revenue less commissions, rent, credit fees and sales taxes. ServiceDock offer customer service via messaging apps, social and web chat in one easy-to-use dashboard. * We monitor all JDA Retail Lifecycle Pricing reviews to prevent fraudulent reviews and keep review quality high. We do not post reviews by company employees or direct competitors. Validated reviews require the user to submit a screenshot of the product containing their user ID, in order to verify a user is an actual user of the product. Hi there! Are you looking to implement a solution like JDA Retail Lifecycle Pricing?